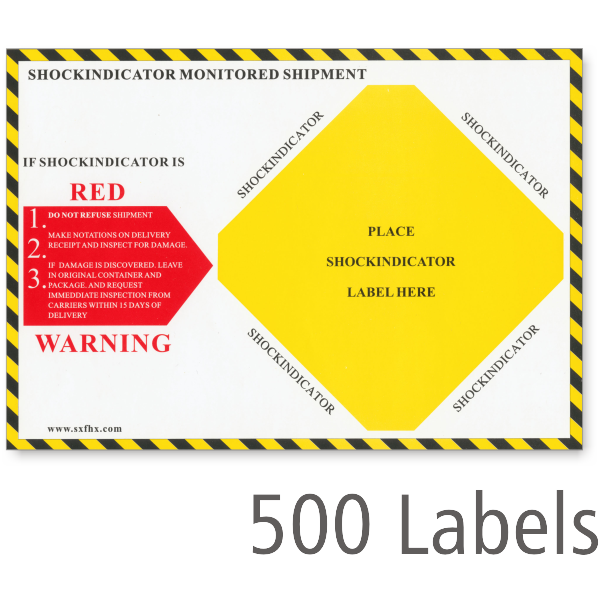 Whether you want to draw greater attention to your shock indicator label, explain its function in more detail, or send a clear warning to handlers, these Shock Indicator Companion Labels fit the bill. 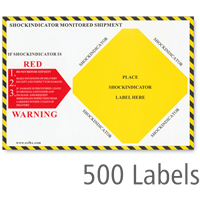 • 6" x 8.5" labels come in a pack of 500. • Adhesive backing sticks to any surface, flat or curved. • These 6" x 85." labels are useful companion labels to make handlers aware of tilt or shock labels on packages and how to read them. 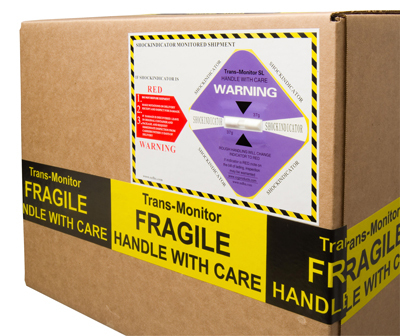 • Apply shock or tilt indicator labels directly on top of the companion label on your package to alert shipping companies that their handling of a package is being monitored.